The TinyMCE Advanced plugin adds extra features like tables, emoticons and custom font families to your visual editor’s toolbar and gives you more control of what’s included in your visual editor’s toolbars. Once you’ve activated the TinyMCE Advanced plugin in Plugins > All it adds extra buttons and features to your Visual Editor. You can add extra buttons, features and change their order in Settings > TinyMCE Advanced. When the editor menu is enabled most of the items appear as menu items under a drop down menu on the editor menu. File > New document: removes all content you’ve added to the content area. Your content can be restored using Undo if you didn’t mean to load new document. File > Print: used to print a copy of post/page. Insert > Insert date/time: used to quickly add the date or time. 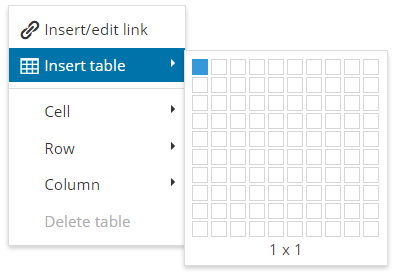 Tables: Allows you to quickly add, edit and format tables. Tools > Source Code: Allows you to edit the HTML code hidden by the WYSIWYG view. Insert > Anchor: Anchors are used to allow readers to jump to a specific part of a web page and are useful to create an index at the top of long pages. 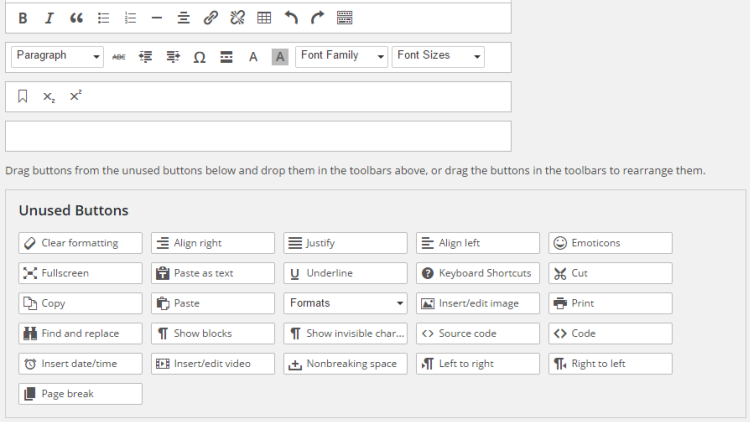 The default WordPress Visual editor has two toolbars. The TinyMCE Advanced Visual editor can have up to four toolbars. 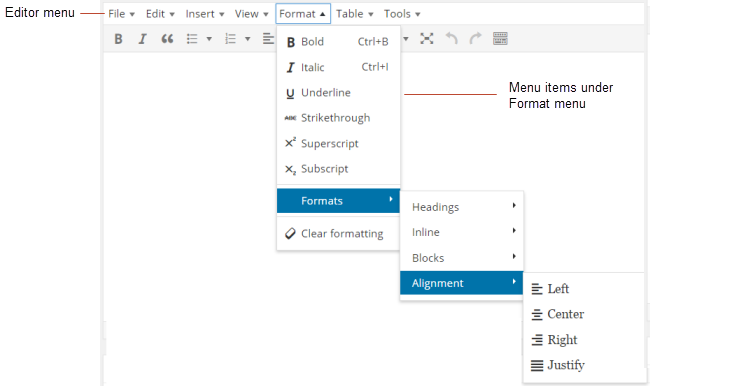 The Editor menu and first toolbar is what you see when the TinyMCE Advanced Visual editor is initially opened. 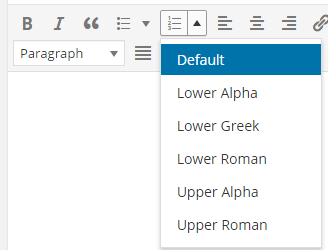 You use the Toolbar Toogle icon to view the advanced formatting options contained in the other toolbar rows. 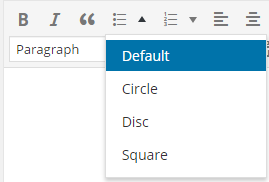 By default, the editor menu is enabled. You can remove the editor menu by unchecking the select box next to “Enable the Editor menu”. You remove buttons from the toolbars by dragging the buttons from the toolbar and dropping them into the Unused button area. You add buttons by dragging the buttons from the Unused button area to the desired toolbar. Any button used regularly would added to the first toolbar row. Watch the following video to see how you can use the TinyMCE Advanced plugin to customize your Visual editor. List Style Options extend your bulleted and numbered list options. Clicking on the drop down arrow next to the Bulleted list icon or Numbered list icon reveals the extra options. By default, extra list style options are enable. You can disable the extra list style options by unchecking the select box next to “List Style Options”. When the Context Menu is enabled it replaces your web browser’s menu item when you right click in the content area of your post editor with the following TinyMCE Advanced content menu. By default, the context menu is disabled. You can enable the context menu by checking the select box next to “Context Menu”. When the Link is enabled it replaces the WordPress Insert/Edit Links dialog with the following TinyMCE Advanced Insert/Edit Links Dialog. By default, the Link is disabled. 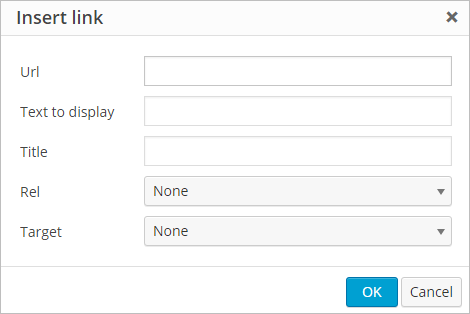 You can enable the Link by checking the select box next to “Link (replaces the Insert/Edit Link dialog)”. There is no need to make any changes to the advanced options.